Sakai Wakana is the main protagonist of Tari Tari and is one of the members to join the 'Choir and Sometimes Badminton Club' with the other main characters. After her mother's death, she lives with her father and her cat, Dora. 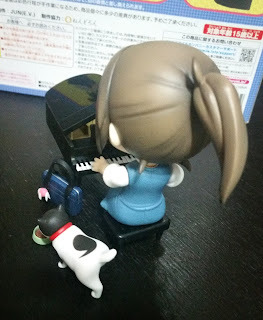 To fit in different aspects of Wakana's life, Dora, as well as a piano and a singing faceplate are included. 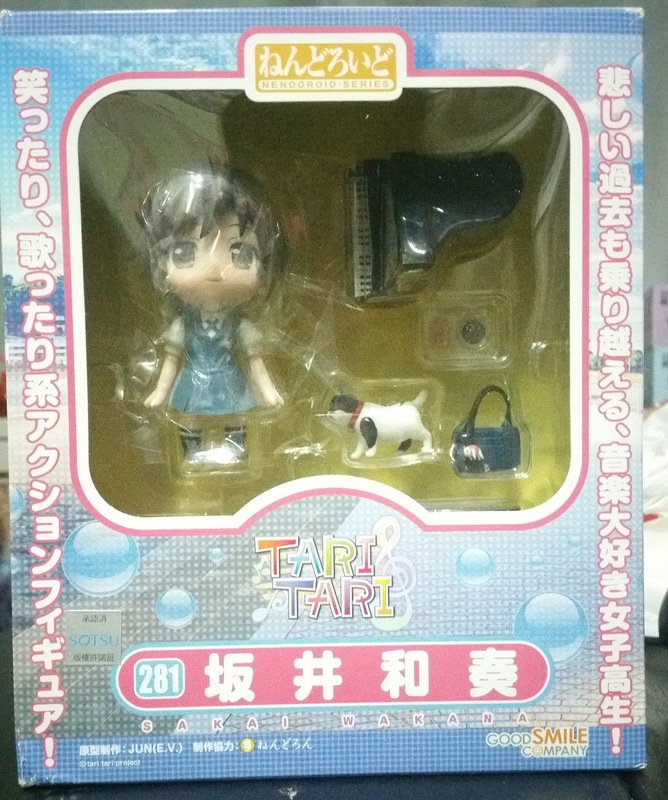 Wakana is one of the older Nendoroids and comes with a different design on the box. Back then, each box has a different design and this soft bubbly look suits the nostalgic and relaxing feel that the series brings. 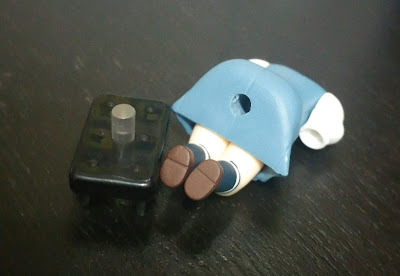 The blister showcases all the different parts that this Nendoroid contains. 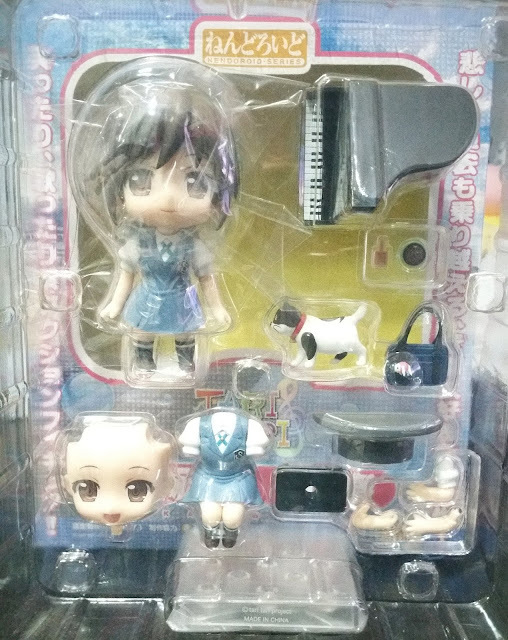 Despite only having two faceplates, she comes with quite a bit of accessories including a piano and chair, a stool, Dora, a scoop and cat food, as well as her school bag. Wakana's school uniform is also different from most other female Nendoroids as she comes in a pinafore and not a usual blouse and skirt. 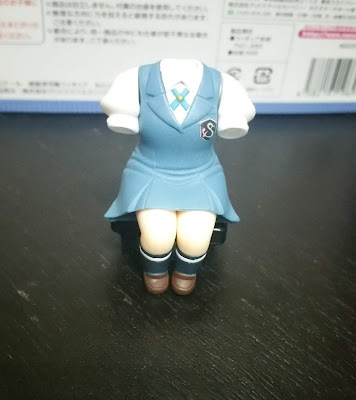 Hence, instead of coming with a separate sitting down skirt part, she actually comes with a whole separate body! 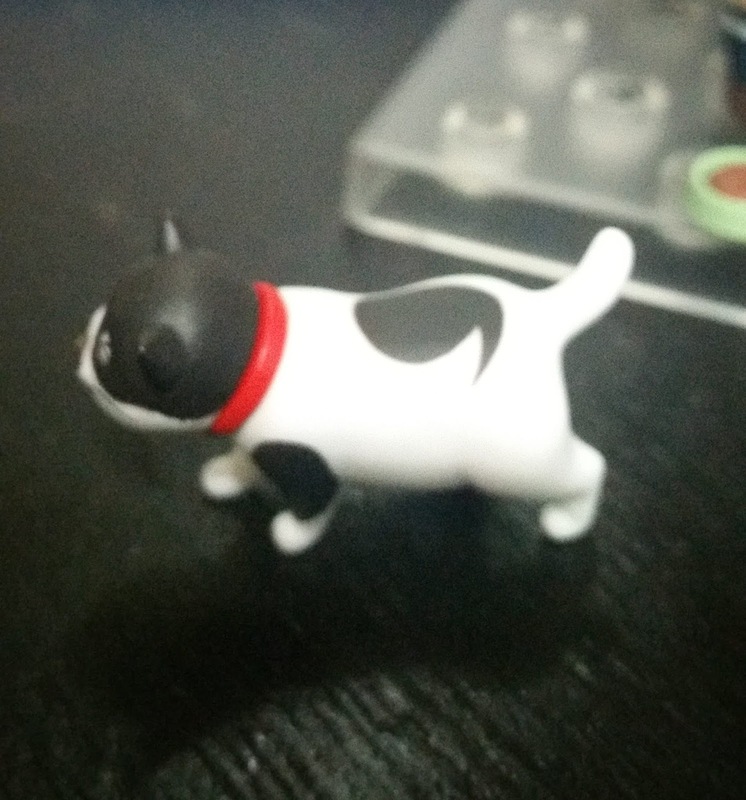 Dora comes with a red collar and uniquely placed black spots. 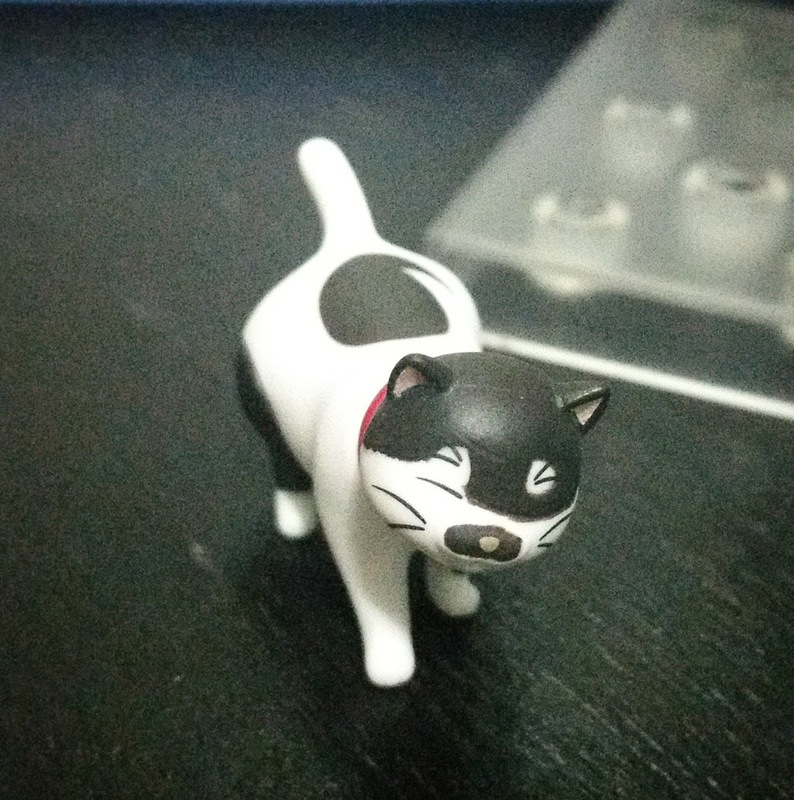 There are no paint flaws with regards to how the collar and the spots meet the white cat's body. 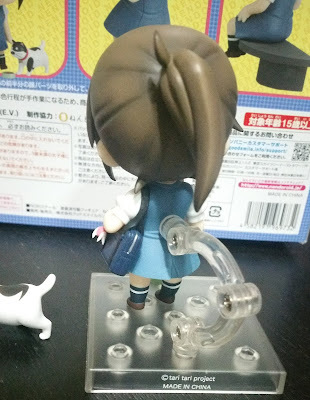 Other than that, we will also look at the various other accessories this Nendoroid comes with and how they fit with her, as well as the sculpting and painting on Wakana herself. First up is a pose of Wakana with her school bag and Dora with a bowl of cat food. The bowl is light green, which contrasts well against the dry texture of the brown chunks of cat food. In addition, the pinafore that Wakana wears is adequately creased around her waist and these creases are also mirrored on the back of her outfit. 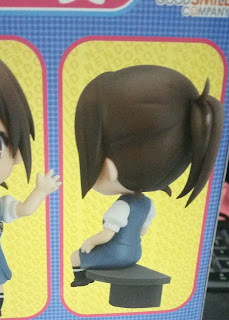 Her ponytail is also sculpted and painted well, and these details help to give the impression that her hair is tied back tightly, which forms her trademark hairstyle. 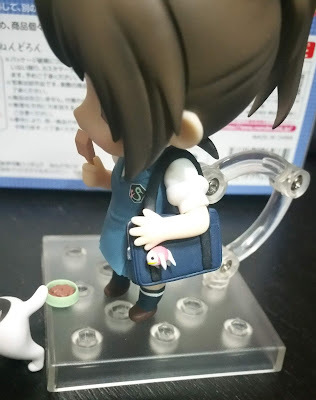 Her schoolbag also comes with a properly sculpted and painted metal zip as well as a soft-looking plushie strap. It isn't difficult to slide the bag into place but there is only one plausible way to display her holding the bag. To display her seated on the piano chair, you would need to join her sitting parts to the chair. There is a peg hole on these two parts that can be securely joined with a plastic peg to hold them together (image below). 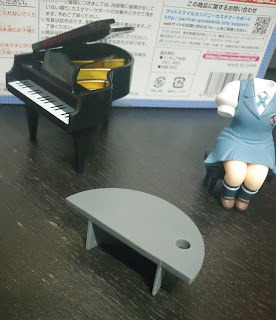 Good Smile Company gave two different plastic pegs (one longer and one shorter) to use with her sitting body. 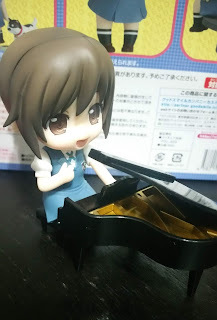 After placing her on the chair, you will have to insert the Nendoroid head and hands to give her the pose you would like her to have. Personally, I love how the skirt flares out at the sides as it meets the chair! 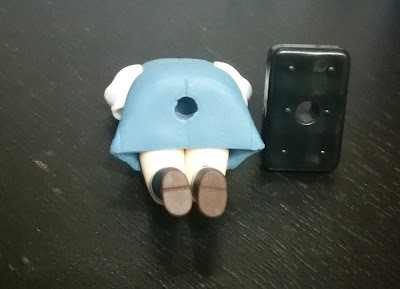 By using the other plastic peg you are able to join her to this "stool" sitting part as well. The logic is the same as with the piano chair. 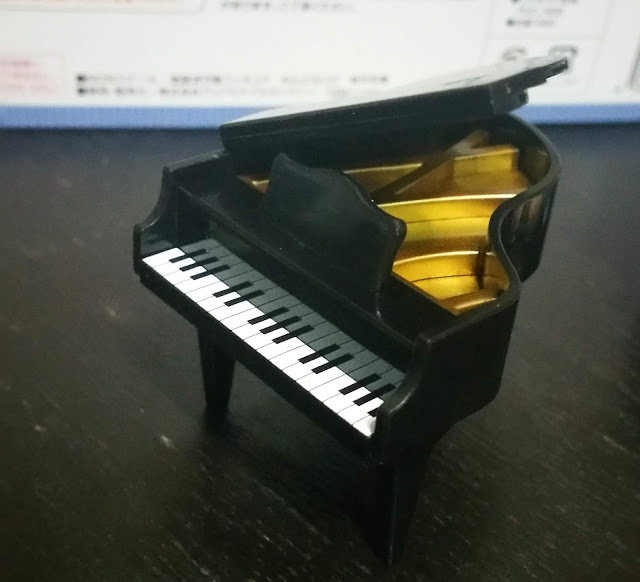 The miniature Nendoroid piano is very beautifully detailed. I love how it is quite an accurate reflection of a piano and the bright gold accents inside of the piano helps to add a more elegant feel to this Nendoroid as well. 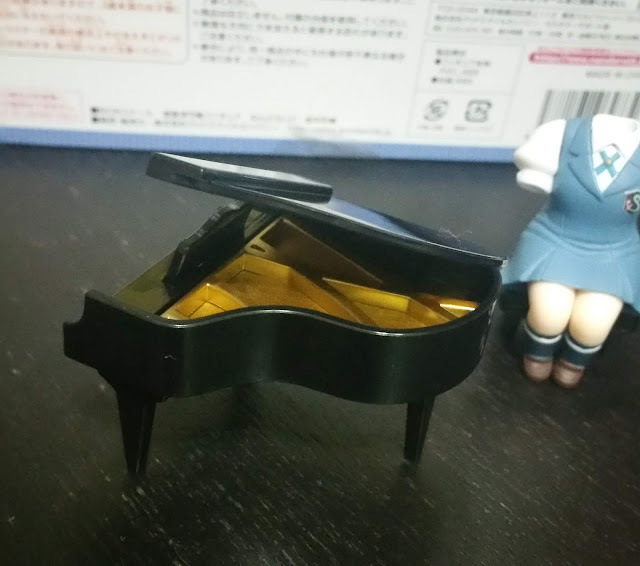 However, the piano does seem slightly small in comparison when you match the Nendoroid together with it. This Nendoroid comes with many different accessories that you can display with other Nendoroids as well, which makes this a very good purchase. 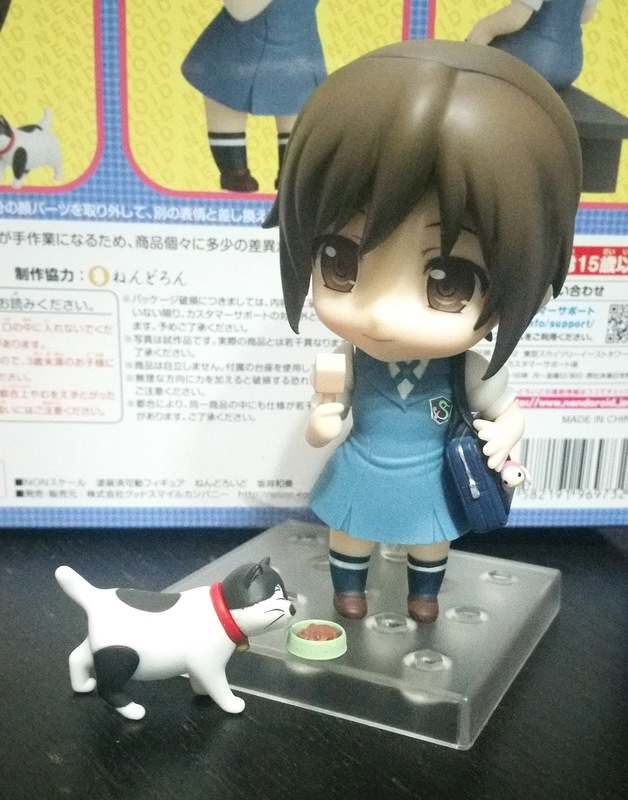 With this being an old Nendoroid and hence a slightly lower price, I would say that this is a very good purchase for any collector who wants to use her accessories, and especially for fans of her and the series! No Comment to " Figure Unboxing and Review: Nendoroid Sakai Wakana (Tari Tari) "